A craft brewery from northern Iowa tops the new list of the 50 Fastest Growing U.S. Craft Brewers. 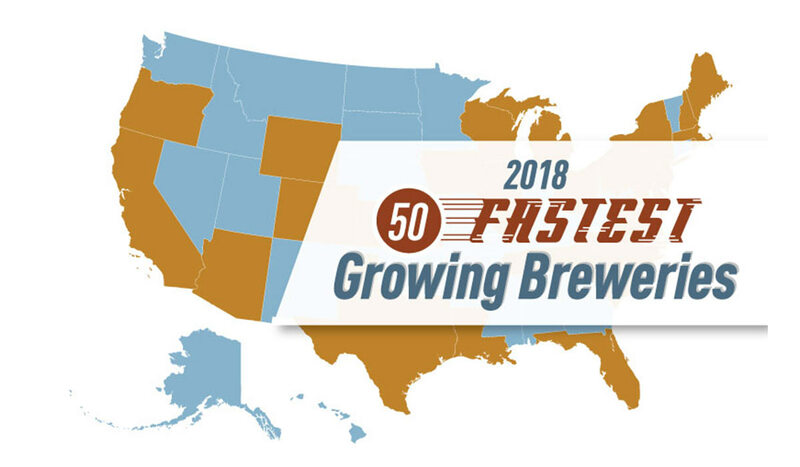 The fastest growing breweries list is compiled by the Brewers Association (BA), the not-for-profit trade group representing U.S. craft brewers. 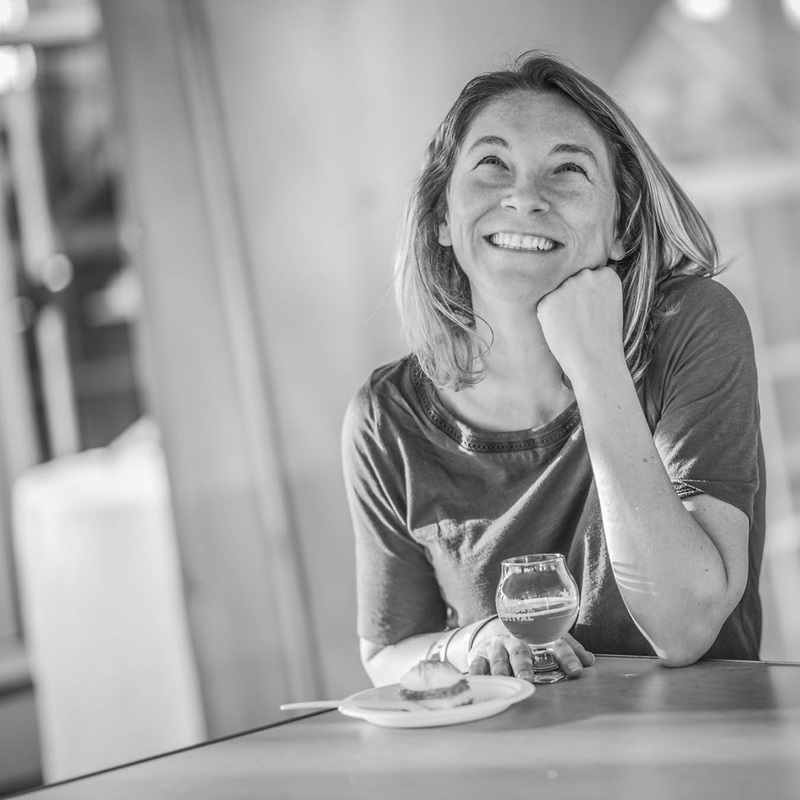 The BA also publishes CraftBeer.com. Lake Time Brewery in Clear Lake, Iowa, founded by Bob and Suzy Rolling, was 2018’s fastest growing craft brewery. Lake Time opened in 2013 and recently expanded production, added a canning line, and is now distributing to about three dozen Iowa counties. This marks the second year the BA has compiled and released data around the fastest growing small breweries. You can see the 2017 swiftly growing breweries here. BA Chief Economist Bart Watson says the list demonstrates that craft breweries continue to thrive in communities across the U.S.
“Even as market competition continues to increase, these small and independent breweries and brewpubs demonstrate there are still growth opportunities across a diversified set of regions and business models,” Watson says. 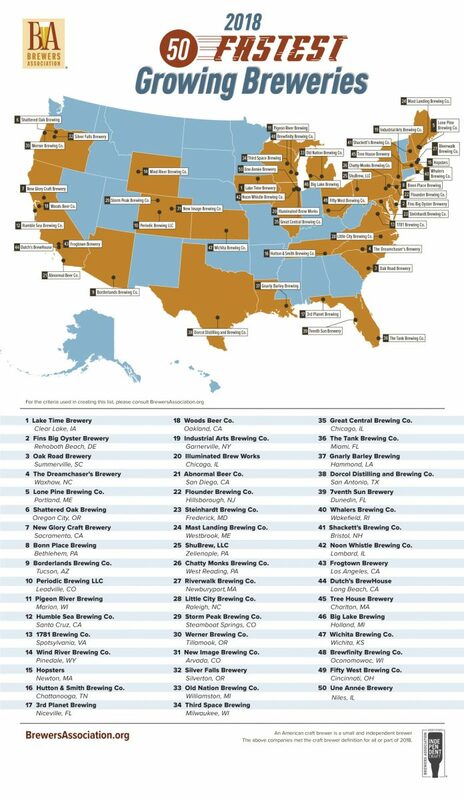 When you see the fastest growing breweries full list, you’ll notice some breweries are in historic craft beer hotbeds like San Diego and Chicago, further illustrating Watson’s point that there’s still an opportunity for breweries to grow — even in already-busy beer markets. For more insight, check out BrewersAssociation.org.